Have you heard the new music album LION HEART? 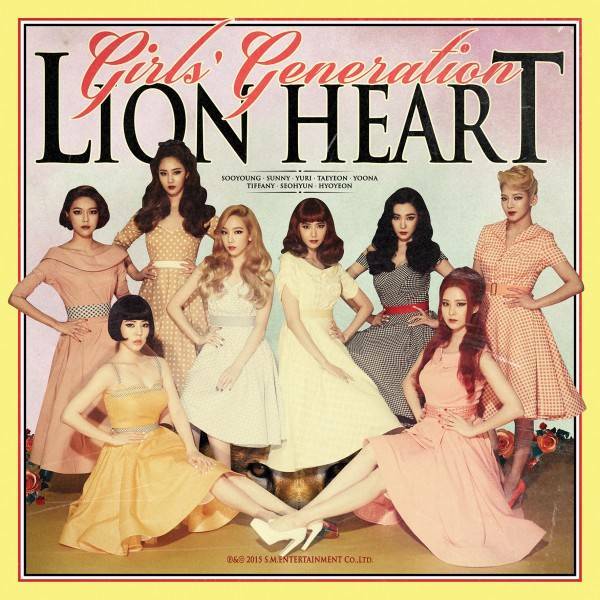 Girls’ Generation (or 소녀시대, SNSD) released their 5th album LION HEART this month, and features 12 different tracks. It is already very popular and the top of many music charts, so we at BnBHero thought we could help share the top two songs on their album with our readers! The album and the teaser images have a vintage feel, and it has two songs which are already very famous! Lion Heart and You Think are the two most popular songs on the album, so we’ve also attached the romanized lyrics so that you can sing along! The music videos for both songs have placed no.1 and no.2 on the iTunes music video charts in many countries! Have you heard the two songs yet? The “Lion Heart” music video is a strong favorite with many SNSD fans, and it contains many unique dance moves that try to mimic the movement of blooming flowers, clock hands and lions! It was created by choreography Tony Testa and SM Entertainment’s performance director Shim Jaewon. The “You Think” music video performance was created by choreographer Kyle Hanagami. We love how talented and amazing our girl group is- no wonder they are so popular with people of all nationalities! While we love the perfect nature of the choreographed videos, we also love this sneak peek they released of the members practicing the dance moves! Looking to follow SNSD (Girls’ Generation) on social media? Check out the official and verified facebook page for SM Town, where you can regularly get news on all of SM town’s activities and artists! Do you follow Girls’ Generation on Facebook yet? We do! We love all of our photos and shout outs to their fans! This entry was posted in KPOP & KDRAMA and tagged culture, entertainment, kpop, music, SNSD.